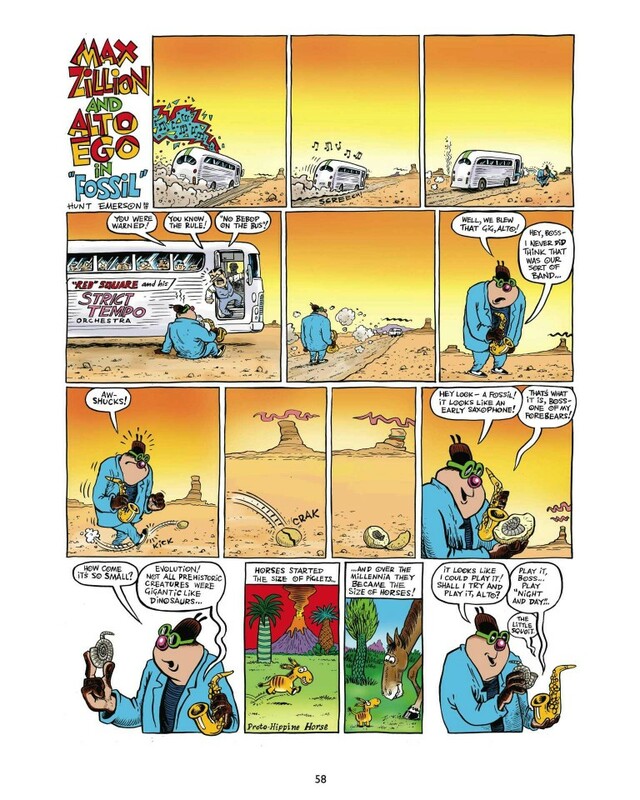 Be-Bopular stories of life in Groovesville! 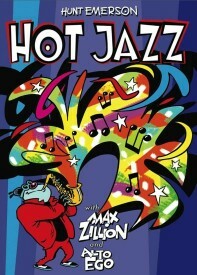 Max Zillion and Alto Ego blow up gas appliances, travel into space, battle jazz-crazed seagulls, play a gig in Hell, scandalize Toronto's jazz elite, and play the blues. Crazy, man, crazy! 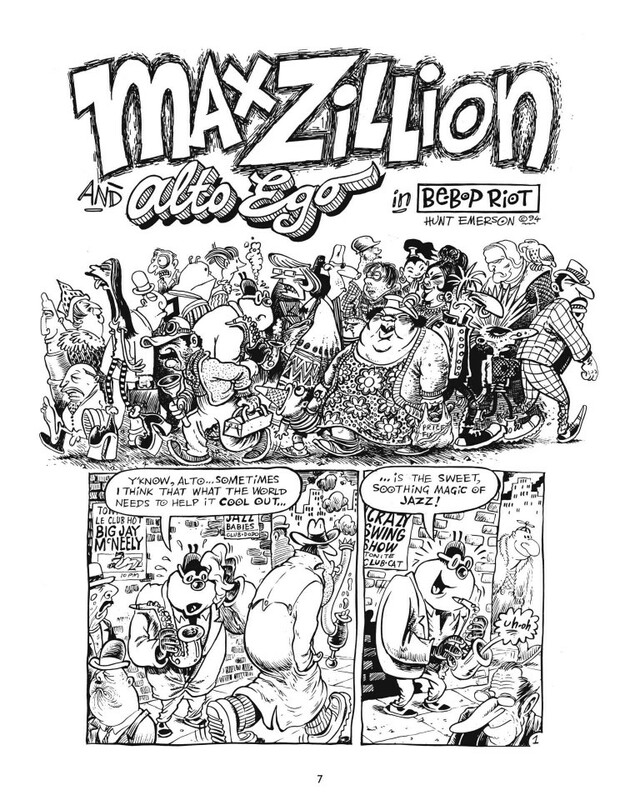 Hunt Emerson's jazz-themed comic book Jazz Funnies was published in 1986, and has been out of print for 25 years. 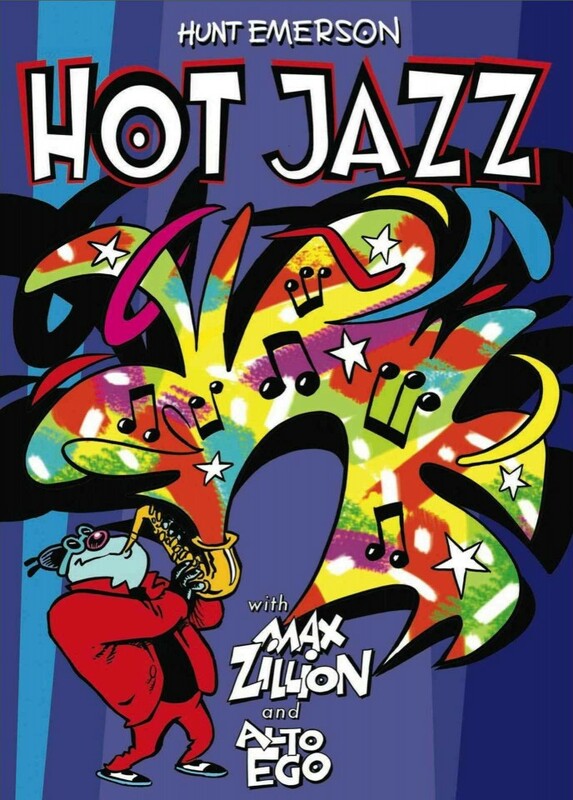 Those stories are now back, together with another twn rarely or never seen Max Zillion tales, and a clutch of covers and splash pages, in this new collection: Hot Jazz. 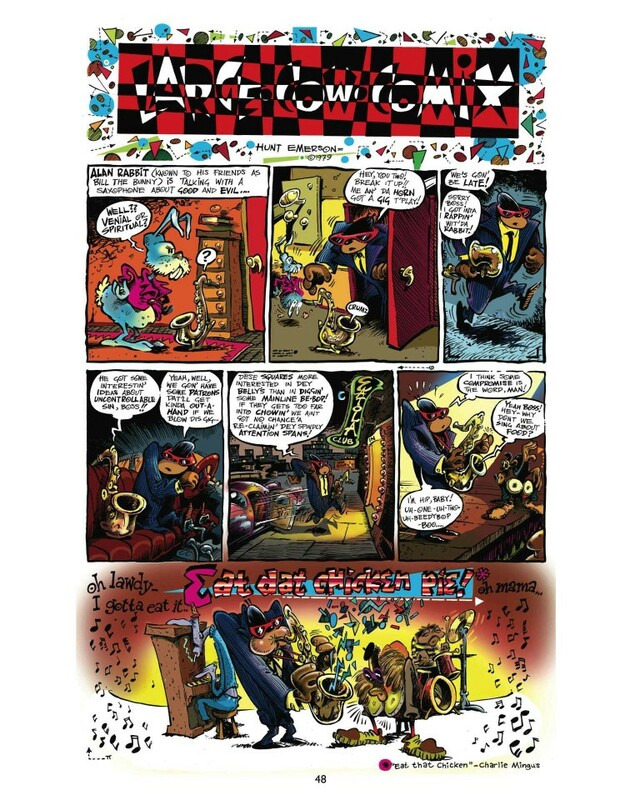 What's more, Hunt has persuaded 48 of the grooviest cartoonist from Birmihgham and around the world to each contribute a jazz-flavoured drawing to the Jazz Lounge Gallery – including Dave McKean, Peter Bagge, Jay Lynch, Gilbert Shelton, Rian Hughes and many more. 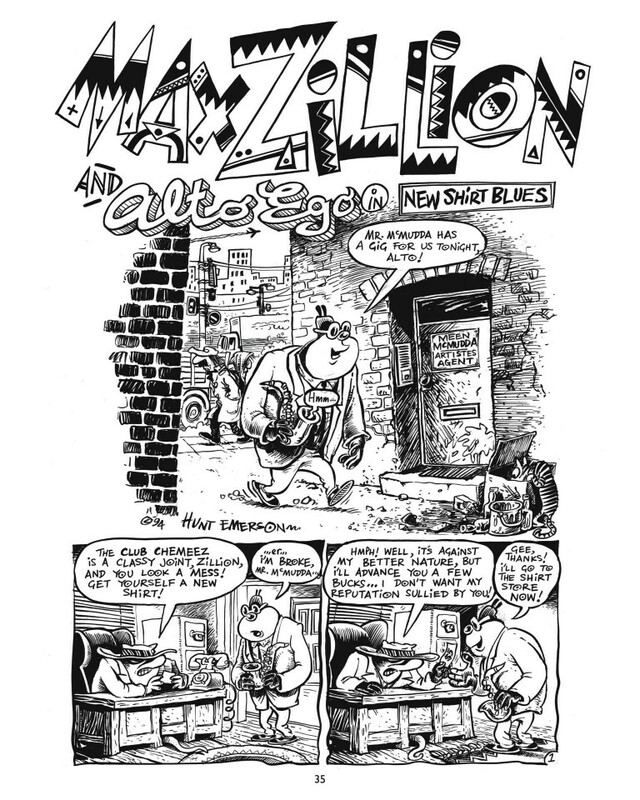 As hep a hill of hipsters as you could hope to heap up, dig?